The Haliburton wolf pack in happier days. See original story here and my response here. I do have some questions about that however, because in normal circumstances the presence of an alpha female (Granite, in this case) would prevent the other females in the pack from cycling and going into heat. So it leads me to wonder..
Would the absence of their mother for 2 months be enough to allow Luna and Lela to cycle? If so, would they both go into heat or would one of them take on alpha status? 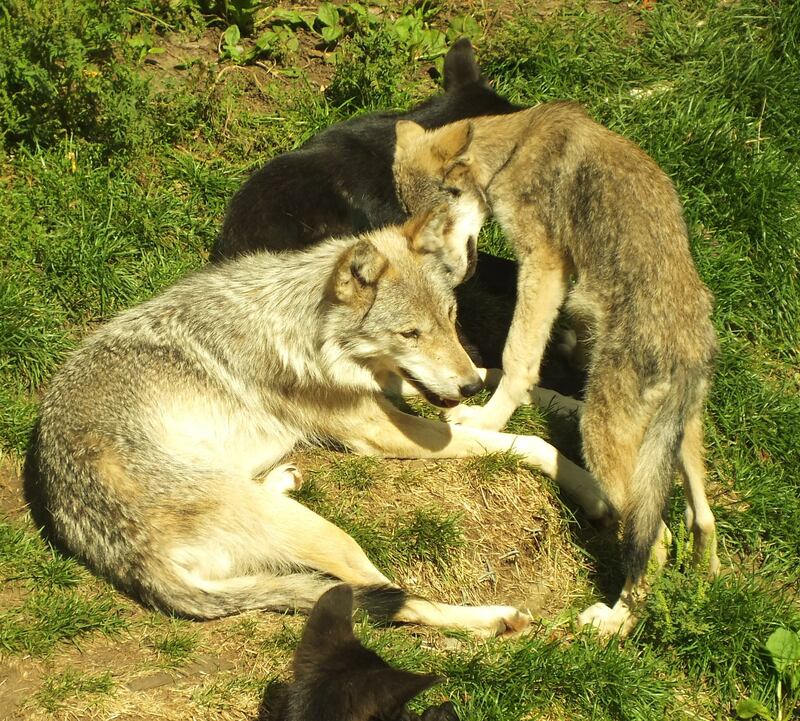 Would a wild wolf normally mate with his daughter (or sister) if his mate was killed? Really, I am asking how a wolf pack would normally put itself back together in this kind of circumstance. I’ve emailed my questions to a couple people, but if you have some thoughts on it, go ahead an put them in the comments. Meanwhile, I’ll let you know if I get an answer. Scroll to the bottom of THIS page to see Peter Schleifenbaum’s Feb 14 update. It’s great to read your updates, Kim. I’m eager to hear what people have to say. I’m just praying it all has a good ending.